Having struck his last competitive shot and signed his last scorecard of 2018, Tiger Woods was able to quickly forget a poor performance at the Hero World Challenge and reflect on what has been an extraordinary - and scarcely credible - comeback. “The entire year has been amazing,” he said. He finished next-to-last in the 18-man field in the Bahamas but, in the grand scheme of things, that mattered little. His return to the PGA Tour after multiple back surgeries would’ve been enough of a comeback story in itself but then he started contending and it all culminated in his winning the Tour Championship at East Lake to give him his 80th tour victory, albeit his first in five years. Woods said it didn’t take him winning at East Lake to know he could win again. He said being in contention at the Valspar Championship in March – it was just his fourth start of the season – was all the confirmation he needed. Unlike two weeks earlier at the Honda Classic, where Woods finished T-12th but was unhappy with the way he completed his rounds, Tiger was encouraged with his share of second behind winner Paul Casey. Woods produced six more top-10 finishes after Valspar, but he also missed his second cut of the season at the U.S. Open and failed to feature in the first two events of the FedExCup Playoffs. Part of that solution will resolve itself as Woods reduces his playing schedule. His 19 worldwide starts in 2018 matches his total from five years. Woods had not planned to playing that many, but with his body holding up and by gaining qualification in certain events – like the late-season World Golf Championships-Bridgestone Invitational after he moved inside the top 50 in the world rankings - the starts kept adding up. Down the stretch, he played seven times in nine weeks. Only once since 2006 has Woods played more events in a year than 19 – the 22 starts he made in 2012. He was still in his late 30s back then. Later this month, he turns 43 and Woods promises not to subject his aging body to the rigors of that many starts moving forward. He and his team will soon get together and try to figure out. His only confirmed starts for now is the Genesis Open, which is run by his foundation, and the four majors. 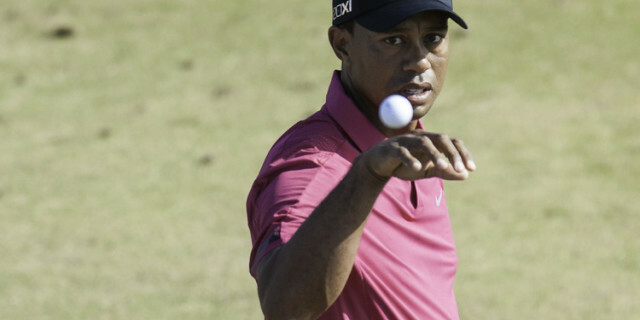 “We’re going to sit back after I’m done with Australia and really get back into the gym and build up my body, get it stronger and get some weight on me and see where I want to start the year and see how many events that I should play,” Woods said. “I’m not going to play as many as I did this year. I played in too many this year, and that was from adding an event because I missed the cut at L.A. to qualifying to get into Akron. Who knew that I could make it through all the Playoffs events? So all those events told a lot.